Love her or hate her, it seem Kristen Stewart is here to say. After all the rumors over the past twelve months that brands were dropping K Stew like hotcakes following her affair with a married man, it seems the dust has officially settled. And what better way to put all rumors to bed than with an announcement of an endorsement from one of the world's most recognized brands - CHANEL. Yes, it was announced last night in Dallas that Kristen Stewart's the Chanel campaign model for Pre-Fall 2014. 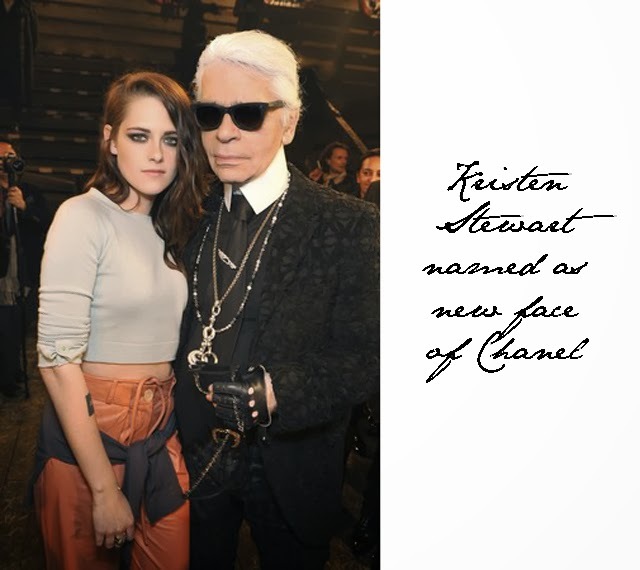 Kirsten attended the event and stood proudly next to Karl Lagerfeld in a cropped top ensemble on the big night, which is when the rumor of a collaboration began to spread like wildfire. As one would expect, Karl Lagerfeld will shoot the campaign, which will be released May 2014.